© 2017, BeautyMartng Site Designed by SPECS All rights reserved. 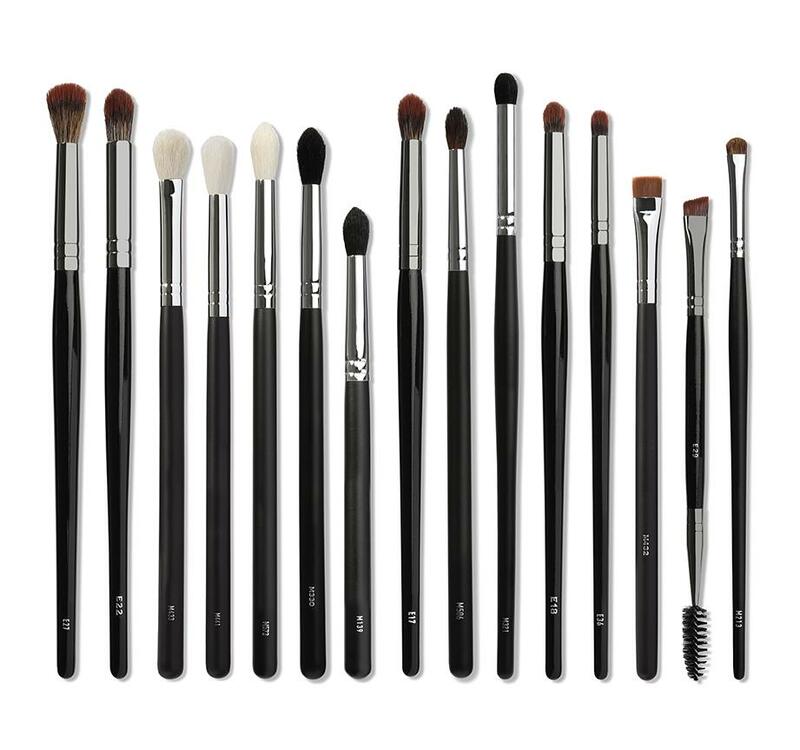 Stop and stare at this killer collection of 15 eye brushes that our babes are totally crushin’ on. Don’t just take our word for it. Listen to other Morphe Babes that totes have your back. The rounded top is great for diffusing eyeshadow to give you a new crease on life. Great for carving out your corner crease. PRO TIP: The tapered tip makes it easy to apply concealer to imperfections during a zit-happens moment.This two-fer is totally more than meets the eye. Play both sides. Use the belly/side of the brush to pick up shimmery eyeshadows and stamp color onto lid. Use the top to create a perfectly blended crease. The perfect balance of medium-to-firm bristles for defined diffusion of any transition situation. Point your crease blending in the right direction. The bristles are more flexible, allowing for a foolproof way to blend that crease color like a boss. There’s a bit more density to these bristles which help build up those deep and sultry shadows into your corner crease. Date night, anyone? Blends out your eyelid primer (or anything creamy). Also, great for fitting in small corners of eyes and that poppin’ tear duct. The perfect crease brush for small, hooded-eye babes. Gets right in there and gets the job done. Use this MUA fave to smudge your eyeshadow or Color Pencil under lower lash line, nailing that whole sultry AF look. It may look like the E17, but this bigger sister covers more ground. Just like that. Carve out a killer crease or use under lash line for some va-va-voom saturation. Use with concealer for tracing under brows before highlighting. Boom. Smooth and poppin’. Use with powder to create a bushy, full brow or use with cream-based products for super-defined brows. The spoolie clears up any mistakes. Ideal to lay down your color on smaller lids or apply your lip color with sheer precision. We get it. A few of these babe faves may look like they are twinning, but they aren’t. We promise. Grab the brush that werks best with what yo mama gave you (features and skin tone). Be the first to find out about exclusive deals, the latest beauty products, and top trends.